Eco-friendly loose eyeshadows are available in abundance, but only a few companies make pressed versions. In my professional makeup work, I often prefer pressed powders because I can remove the trays to make a compact, custom Z palette. I flip open one lid and have an array of colors literally at my fingertips. Shadows such as NVEY ECO eye shadows come in the rare, pressed form that is essential to my work. 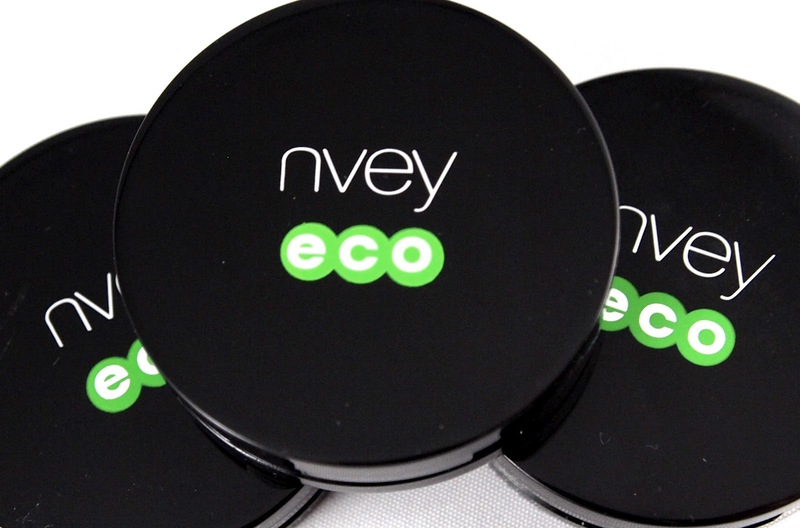 NVEY ECO shadows offer a high-quality performance worthy of professional work. However, the pressed tins are only available in pre-made palettes or singles, but I'd love to see them sold without the plastic cases as well. This would make it much more affordable for professionals who quickly wear a certain global shade in a palette, those wish to make their own palette (such as a Z palette), or those who are looking to reduce packaging. The price is fairly expensive for singles, but the palettes are more affordable if you'd use most of the colors. I was glad to see there were samples availalable on the web store for those new to the line. There is a decent range or colors, but it's worth looking at the cake eyeliner shades for basic black and brown. I'd recommend NVEY shadows for anyone who travels a lot, works professionally, or is looking for a nice pressed, eco-friendly shadow. Also available on Amazon.com: shadows and cake eyeliner. 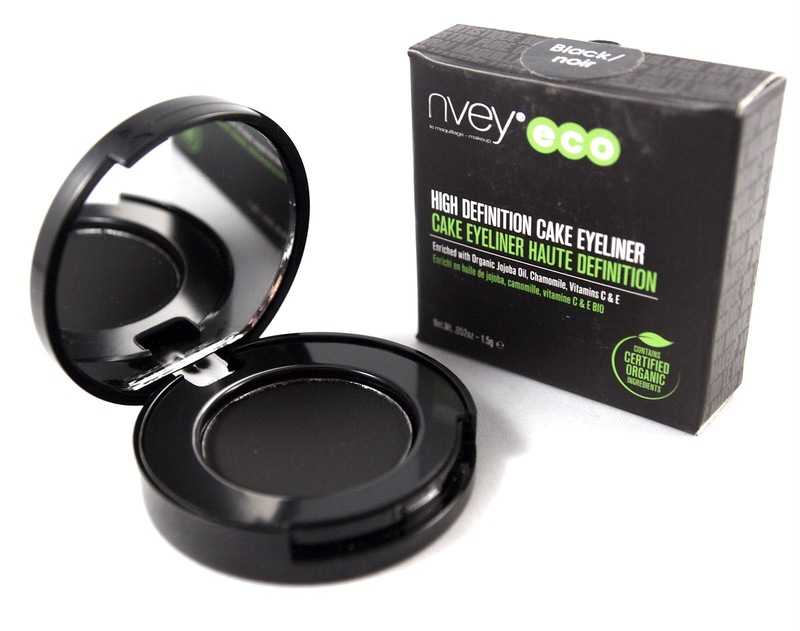 Note on ingredients: According to the NVEY ECO website, both the eye shadow and cake eyeliner contain benzyl alcohol and salicylic acid, which bring the safety rating up to a moderately high 5 on EWG's Skin Deep database. However, the eyeliner sample I was sent shows a different ingredient list, which no longer contains these ingredients and rates a much lower 3. Let's hope this is the updated list!